North Adams, MA -- The Massachusetts Museum of Contemporary Art's (MASS MoCA) second annual FreshGrass Festival turns the whole museum into nothing short of a bluegrass amusement park. Besides a collection of bands and musicians as diverse and exciting as you’ll find anywhere playing on multiple stages outside and in, they will have pop-up performances in the galleries and under the trees, film screenings, banjo workshops, instrument building for kids, great food and drink (moonshine slushies, anyone? ), and so much more. Suwannee Springfest is only one day away. The festival features four outstanding days of bluegrass, acoustic and Americana roots music from Yonder Mountain String Band, Donna The Buffalo, Tony Rice, Greensky Bluegrass, Justin Townes Earle, Emmitt-Nershi Band, Hot Buttered Rum, Guy Clark, Verlon Thompson, The Gourds, Darol Anger & The Republic of Strings, Jim Lauderdale, and many more. Of course, there's always enough camping and jamming to go around for those who come to pick. Over the past year's Bill Monroe Centennial there have been numerous anthologies of various artists doing their versions of his music, restating the enormity of Bill Monroe's legacy on the entire field of bluegrass music. 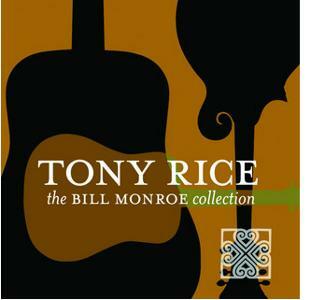 Tony Rice's The Bill Monroe Collection, due out on Rounder Records (division of Concord Music Group) on January 31, 2012, may have a somewhat different impact, in part because it is a collection by one artist only, recorded over a period of some 15 years. 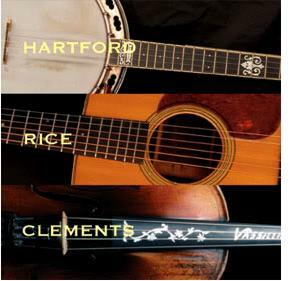 The material, consisting of major songs and instrumentals by Monroe, was recorded in a variety of band configurations over these years, allowing guitarist Rice to make his own unmistakable mark on bluegrass music. To celebrate the release of the 10th-Anniversary, Deluxe Edition of the O Brother, Where Art Thou? soundtrack, JohnHartford.com is making a very special offer available. You may visit their website and order the Oh Brother Where Art Thou Special Edition soundtrack for only $22 or, for an even better deal order a combination of O Brother, Where Art Thou? 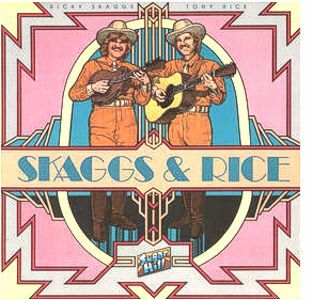 and the Hartford, Rice and Clements album for only $28. Live Oak, FL -- Known for consistently booking some of the finest performers in new and traditional folk, roots rock, bluegrass and newgrass, and other American roots music, Suwannee Springfest returns in 2012 for its 16th straight year. 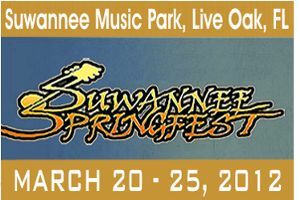 Suwannee Springest will be held March 23-25, 2012 at the Spirit of the Suwannee Music Park in Live Oak, Florida and features some of the biggest names in the scene with veterans and up-and-comers alike. Yonder Mountain String Band, Peter Rowan & Tony Rice Duo, Justin Townes Earl, Emmitt-Nershi Band, and Darol Anger and the Republic of Strings will be joined by The Gourds, Hot Buttered Rum, The Infamous Stringdusters, Greensky Bluegrass and more, with additional artists still to be announced. After losing their son, John Christian Scott, in a mid-August accident, pioneering bluegrass guitarist Tony Rice and his wife, Pamela, have asked for memorial contributions to be made to a very special cause. The family of John Christian "Chris" Scott will host a reception and concert celebrating his life this Sunday, August 21, from 7:00-9:30 p.m., in the courtyard of beautiful Chinqua Penn Plantation near Reidsville, North Carolina. Chris lost his life in an accident in Burlington, NC this past Wednesday, August 17, 2011. The photo was Chris' birthday in August 2010; Tony had just presented him with the Accutron he's holding. Island in the Mountains Fest will be held on Monday August 1st on Blannahassett Island in Marshall, NC in celebration of Jerry Garcia's birthday. Gates open at 10:00 am and the music starts at Noon featuring bluegrass/acoustic group, The Tony Rice Unit, The New Riders of the Purple Sage with special guest Donna Jean Godchaux, Bobby Hicks, Phuncle Sam, Jamie Thomas, Joe Penland, The Harris Brothers, El Hub, Sarah Tucker and many more. Tickets are $50 and are available on IslandInTheMountainsFest.com as well as at the Madison County Arts Council and Good Stuff and in downtown Marshall.